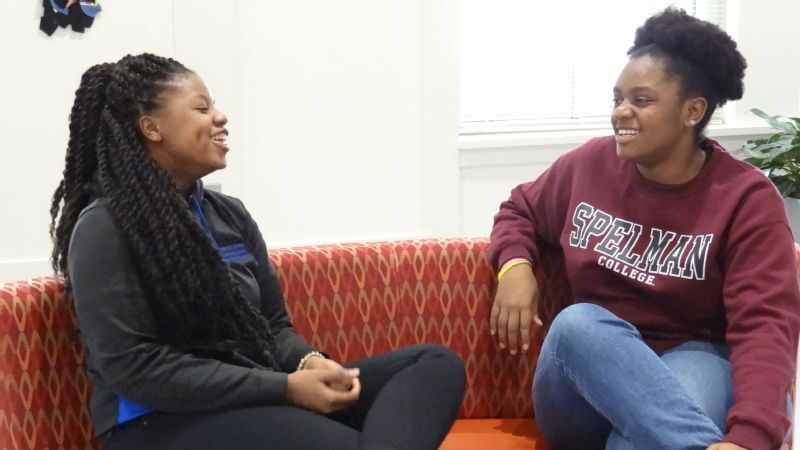 From left, students Taylor Parnell and Shanice Alexander note that Spelman's Wellness Center initiative has improved their overall health and well-being. In the spring of 2012, behind the gilded gates of Spelman College, Dr. Beverly D. Tatum delivered some contentious news to her student-athletes. The former president was tasked with letting the more than 2,000 undergraduates know that starting in May 2013, the historically black college for women would no longer be home to intercollegiate athletics. The previously NCAA Division III school, which is located in the West End neighborhood of Atlanta, would no longer compete in the now dissolved Great South Atlantic Conference (GSAC), or any other one for that matter. There would be no more track meets, basketball games or tennis matches. It was a hard pill to swallow, but Dr. Tatum was willing and able to confront the disappointment, anger and threats to transfer. She envisioned a program that would benefit Spelman's entire student body, faculty and staff in a way that intercollegiate sports never had or could. Dr. Tatum wanted to ensure that Spelman was a place that educated the minds, bodies and spirits of the women who walked the nearly 40-acre campus. And yes, her students' minds and spirits were being nurtured. But, she knew the administration needed to channel attentions toward their bodies. Dr. Tatum made the decision to leave the NCAA at a time when 49 percent of African-American women over the age of 20 had heart diseases, and were twice as likely to develop Type 2 diabetes as non-Hispanic white women. The health issues that black women faced, including those at Spelman, were very much linked to diet and a lack of physical activity. Spelman, as the country's preeminent institution of higher education for African-American women, had a duty to change the narrative. "When considering our options, I learned that we only had 80 student-athletes and the cost of our program was approaching $1 million per year," Dr. Tatum said. "The cost seemed to outweigh the benefit, particularly when I considered that our students were unlikely to continue their participation in team sports into their adult lives." Additionally, the GSAC's membership was on a steady decline, so Spelman would have had to find a new Division III conference. A costly program that directly benefited only about 4 percent of the students, none of whom received athletic scholarships per NCAA Division III rules, wasn't going to bring about the cultural shift that Dr. Tatum was in search of. Sports were expensive and the campus was ill-equipped. Spelman's old physical education building, Read Hall, no longer met the student body's needs. In order to create a healthier campus, the college would need new facilities and a new program. An $18 million facility capable of servicing the student body to support a campus-wide curriculum shift was ideal. But in order to fund a new facility and avoid increasing tuition, cuts had to be made. That cool million dollars that was being spent on non-scholarship recipient athletes for games people barely attended, at facilities that were not up to par, looked quite enticing. So sports were cut, and the new Wellness Center was built. It only took Dr. Tatum about a year to raise the $18 million needed to build her state-of-the-art facility. Equipped with an indoor track, heated indoor pool, spin room, tennis courts, regulation basketball/volleyball court, multipurpose room, teaching kitchen and weight room -- the approximately 53,000 square feet center was money well spent. "We've met and surpassed our goal of servicing more students 10 times over," said Dr. Brenda Dalton, the interim vice president for Student Affairs and director of Student Health Services & Campus Wellness. "Our [workout] class attendance [is up 500 percent from prior to the opening of the center], which shows we are reaching the masses." New and different is right. 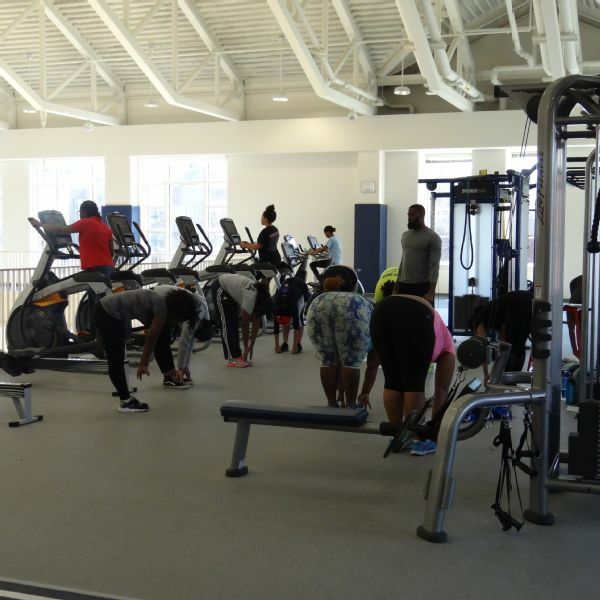 Spelman's Wellness Center, which partners with the college's Counseling Center and Dining Services, also offers yoga, guided meditation, self-care consultations and vibrational sound massage therapy in addition to the more traditional exercise activities like weight lifting, water aerobics, boot camp and spin. What is apparent is that students are doing more than attending group sessions and working out from time to time. Their minds and bodies are truly being transformed. When junior Shanice Alexander showed up on campus three years ago she was a bit withdrawn after suffering an accident that made it difficult for her to be active. Now, that's all changed. "I have lost about 50 to 60 pounds since coming to the Wellness Center. The coaches and programs they offer are the best. They are helpful and we talk on a personal level. I'm here almost every day." The "coaches" that Alexander refers to are the highly trained, knowledgeable and enthusiastic course instructors, personal trainers and intramural coaches that Wellness Center visitors have access to at no additional cost. While students and staff initially missed the element of intercollegiate sports, it seems that the dynamic intramural program, run by intramural sports coordinator Fernando Labra, is filling the gap just fine. "When I was in high school, I played basketball, soccer and volleyball. So, I was used to being competitively active every day. It was definitely a shock to not have any sports," said senior Taylor Parnell. "But our intramural offerings really give me the opportunity to fill that competitive void." Taylor isn't the only student looking for competition and finding it at the Wellness Center. Almost five years after Dr. Tatum's announcement and with the current administration lead by Dr. Mary Schmidt Campbell building on the momentum, the Center and its intramural sports are more than thriving. Coaches and trainers are already planning ahead to bring new programs and classes to eager students, faculty and staff in the coming semesters. Spelman students participate in classes at the Wellness Center. All around the country intercollegiate athletic programs are costing colleges and universities exorbitant amounts of money -- literally millions. And at the vast majority of schools, athletics (especially women's programs) are losing money. So does the success of Spelman College's Wellness Center suggest that schools and their students might be better served by providing overall wellness services for the entire student body rather than sports for a small percentage? Not at all. While its success should be celebrated, Spelman's situation was one that is not shared by all NCAA member institutions. The college was funding an expensive intercollegiate program that wasn't providing free education, wasn't fostering a great deal of school pride and wasn't doing anything to save a student body that was noticeably sedentary. Most other NCAA schools aren't facing the same dilemmas. 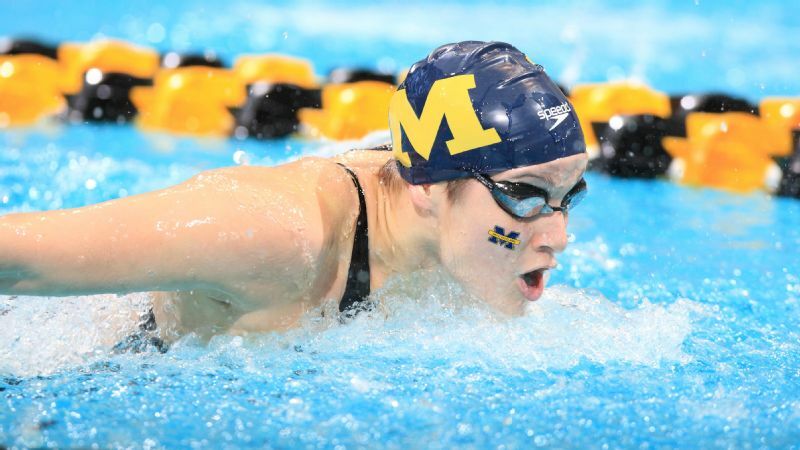 For other institutions, the benefits of supporting women's sports far outweigh the costs. For one, most women at NCAA Division I and II schools receive athletic scholarships that cover the costs of attendance. This is monumental. With the rising costs of college, an athletic scholarship is the only opportunity for some women to further their education. Secondly, participation in sports creates leaders. In fact, 55 percent of women occupying C-Suite positions played sports in college. Let that sink in. More than half of the world's female chief executives played college athletics. College sports have taught these and other women the ability to make quick decisions, collaborate and problem solve, among other things. What's more, college athletics allows women to develop lifelong friendships and networks that will last decades beyond the last game played. Spelman will arrive at the fifth-year anniversary of Dr. Tatum's announcement to cancel intercollegiate athletics in hopes of a healthier, more vibrant institution this spring. And the results are positive. Its students have a better chance of living longer, more balanced lives, despite not having a sports program. The success of the Wellness Center is not to be downplayed or ignored, but neither is the success of the women's intercollegiate athletic programs that thrive all across the country. What may work for one institution may not work for another, and that's OK. What is apparent is that institutions must strive to continue to make spaces for women to be athletes, and to be collectively active. The overall health of our future leaders depends on it.